It looks like that eid is not much lucky for Salman Khan and since Tubelight things are totally going worst for the superstar. Tubelight in 2017 and Race 3 in 2018 both tanked at the box office. After that the superstar announced his next project Bharat slated to hit the screens on Eid 2019. As from the film is announced the film is facing trouble. The biggest trouble was when Priyanka Chopra opted out of the project at the last moment of the shooting and made Salman Khan angry. After that there were the reports that Kareena Kapoor or Katrina Kaif may replace Priyanka Chopra in Ali Abbas Zafar's film. 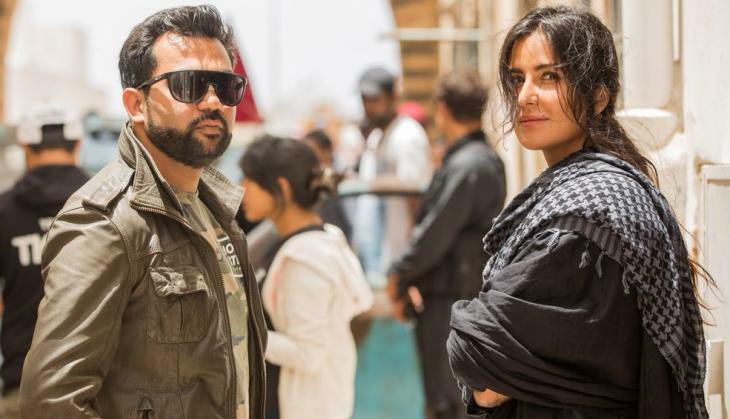 Director Ali Abbas Zafar told Mid-Day, "I am extremely excited to work with Katrina and Salman Khan again.We have had exciting collaborations in the past. Katrina got on board in the nick of time for this project,"
Confirmed: #KatrinaKaif joins the starcast of #Bharat. "I am extremely excited to work with Katrina and @BeingSalmanKhan again.We have had exciting collaborations in the past.Katrina got on board in the nick of time for this project,"@aliabbaszafar told Mumbai Mirror. However, today it is confirmed that Katrina Kaif will be the leading lady of Salman Khan starrer Bharat. The intersting thing is that once in 2014 released film Gunday, it was Priyanka Chopra who replaced Katrina Kaif but now Katrina Kaif has taken her revenge by replacing Priyanka in Bharat. While on the other hand, this is going to be third collaboration of Katrina and director Ali Abbas Zafar after Mere Brother Ki Dulhan and Tiger Zinda Hai. Even it is Salman and Ali's third collaboration after Tiger Zinda Hai and Sultan.